Binary options trading is a financial instrument geared toward all types of investors. The trading vehicle started to gain popularity over traditional options during the past few years after the introduction of Bitcoin as a payment system. The functions of binary trading closely relate to traditional options; it basically carries the same principles as well-known instruments, but with a few added twists. In binary options trading, investors predict the direction of an underlying asset’s value. The assets’ market movements determine the investment profits or losses of the traders for each contract, and this means no actual tradable asset is obtained. For this reason, trading binary options come with less risk as opposed to conventional trading. As the term binary options suggest, investors have two choices for their trades: either to buy a call option or invest funds in a put option. Call options are placed if the investors foresee that the value will increase from its strike price, and put options are placed if a trader predicts that an underlying asset’s value will decrease from its strike price after the expiry time is reached. Another strong point of binary trading is its ability to provide investors with short expiry times, which redefines short-term trading. Binary contracts can exist as short as 15 seconds but still offer a sufficient payout rate. Moreover, longer expiry dates that last for several hours and up to months are also available, making the trading platform one of the most versatile tools present today. The straightforward nature of binary options trading is something users find easy to grasp, and at the same time increases an investor’s opportunity for creating profits. Even the trading scene has already been penetrated by the digital currency, and bringing Bitcoin into the picture immensely improves the overall quality of binary options trading. The cryptocurrency’s flexibility manages to provide its benefits both as a payment solution and an underlying asset. Cryptocurrency proves to be a viable solution for binary options transactions. Faster processing of transactions, online anonymity, and a secure network are advantages that make Bitcoin binary options impossible to resist. 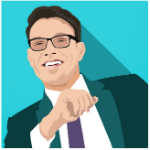 These traits perfectly complement the fast-paced characteristics of binary options. 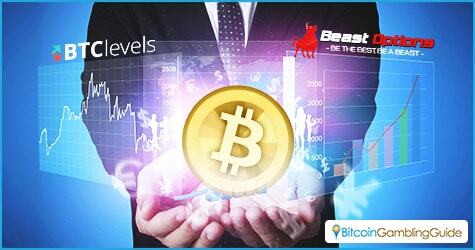 The virtual currency also exhibits its adaptable trait by acting as an underlying asset for traders. 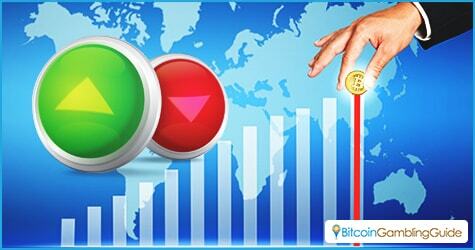 Bitcoin’s volatile property commonly viewed as a disadvantage now shines with the aid of binary options. Traders can place investments on both sides of the coin, which means investors can create revenue with the rise and fall of its price. With the addition of Bitcoin in binary trading, an investor’s opportunity to produce yields is further increased. Traditional options could have been a dead end for some traders, but those looking for a different path that leads to profit can implement cryptocurrency-powered platforms. Should new investors wish to explore this exciting trading instrument, some of the reputable brands that offer exemplary services involve Beast Options and BTC Levels. Furthermore, binary trading acts as an example for individuals who would like to know the different advantages of digital currency over traditional currency. Fortunately, there are several other forex and binary options brokers that exhibit the power of investing funds in the cryptocurrency setting.